The other shoe drops on insurer’s attempts to limit payments to providers and discourage patient out-of-network utilization based on patient deductibles and co-pays. 5th Circuit decision signals shift towards providers in out of network reimbursement disputes. In a much anticipated second case regarding out-of-network provider’s right to sue and whether coverage may be conditioned on collections of patient’s out of pocket costs, the Fifth Circuit Court of Appeals ruled against Cigna in a decision that is consistent with a recent Ninth Circuit judgment against UnitedHealth Care. The ruling against Cigna’s “fee forgiving protocol” allows out-of-network provider’s the right to sue for ERISA violations in federal court and it also allows out-of-network patients the right to both ERISA discounts and PPO discounts. In an unprecedented turn, the 5th Circuit ruling provides very specific step-by-step ERISA legal guidelines used in determining whether all ERISA plans improperly require collection of full deductible and coinsurance as a pre-condition to complete benefits coverage and whether CIGNA violated federal ERISA law in its inconsistent or discriminative out-of-network practice compared to its in-network practice of ERISA plan claims administration services. Case Info: North Cypress Medical Center Operating Company, Limited; North Cypress Medical Center Operating Company GP, LLC, v. CIGNA Healthcare; Connecticut General Life Insurance Company; CIGNA Healthcare of Texas, Incorporated, (North Cypress Medical Center v. Cigna)Case No. 12-20695, in the United States Court of Appeals for the 5th Circuit, filed on March 10, 2015. This landmark decision may potentially save millions of Americans from medical bankruptcy. It also illustrates one of the most pressing issues facing out-of-network patients and providers across the nation. Deductible and Co-Pay waiver claim denial is the No. 1 out-of-network claim denial reason, contributing to increases in the number of personal bankruptcies. According to many recent surveys, reports and case studies, one in five American adults will struggle to pay medical bills. In fact, medical bills are the leading cause of personal bankruptcy, affecting even those with health insurance. Subsequently, approximately 76% of Americans paid for out-of-network coverage through their employer-sponsored health plans, according to a December 2013 National Composition Summary from DOL Bureau of Labor Statistics. It’s clear that the epidemic of out-of-network deductible balance billing wrongly imposed by ERISA plans has inevitably contributed significantly to unexpected medical bills and personal bankruptcy. In light of other recent court filings this federal court decision, on deductible and co-payment collection practices, paves the way for millions of out-of-network ERISA plan participants and their beneficiaries by ruling out-of-network ERISA discounts must and should be treated consistent to in-network PPO discounts. Avym is dedicated to empowering providers with ERISA appeal compliance and ERISA litigation support in all cases as well as ERISA class actions. All medical providers and Plans should understand several critical issues regarding the profound impact of this final court decision on the nation’s No. 1 health care claim denial – overpayment demand recoupment and offsetting; including how to correctly appeal every wrongful overpayment demand and subsequent claims offsetting with valid ERISA assignment and the first ERISA permanent injunction. In addition, when faced with pending litigation and or offsets or recoupments, providers should look for proper litigation support against all wrongful overpayment recoupment and offsetting, to seek for enforcement and compliance with ERISA & PPACA claim regulations. This is not surprising for Cigna. I have had many issues with them concerning my personal health care choices. They are a huge company who does not care about their clients. This is a great ruling. It’s about tone someone stood up for the patient. Kendra-Thanks for your comments. I agree with you they should have just paid according to the terms of the plan. Comments thus far indicate a common misconception about ERISA plans. CIGNA was merely the administrator paying for claims from the employers general funds at the direction of the employer’s plan document. Any funds not spent on these over priced out of network claims remained with the employer’s general fund, not CIGNA. Most of these non network providers charge an egregious amount which ultimately increases the cost of the program. In Texas, provider’s business strategies often include charging for services at a rate many times greater than any prudent benchmark or network contracted rate. Thus allowing them to enrich themselves by waiving member liability and receiving a much larger reimbursement that otherwise would be possible, even after waiving the member responsibility. How affordable will the employee contributions be when the amount these non network providers charge is 400% or more higher than the average? C. Carter-Thanks for taking to the time to reply. I agree that the TPA is merely supposed to pay the claims at the direction of the plan documents. However, since this case was decided there have been over 100 Cigna administered plans sued for “embezzlement” of health plan assets. It would appear, based on the allegations made in the lawsuits, that Cigna did indeed keep the funds not spent on “overpriced out of network claims”. IMHO, this practice is prevalent across the industry. I would estimate that this practice alone, accounts for more than 50% of all self insured health plan expenditures being siphoned off or diverted, and court documents have shown that in some cases it is as high as 90%! Interesting Article. Thank you. In my experience it appears that insurance companies are in business to make money and they are very good at making money. The insurance companies have grown to be the dictator of our healthcare system and they are so strong that they greatly impact small & large US businesses ability to be competitive in the world market. Why is it not obvious that patients and providers are being victimized by the might of insurance companies. This ruling at least may help us regain some control over the care provided that we pay for. How do you submit a complaint. Cigna approved a Neurosurgeon and Neurosurgical as in-network because there wasn’t a Neurosurgical or Neurosurgeon in their network. They paid 100% of my first few visits, and approved my surgery for cervical fusions, after my surgery they only paid, 60% out of network rate. There was one charge for $237.00 that wasn’t paid at all due to procedure not typically charged. Which was fine, I could pay $237.00. 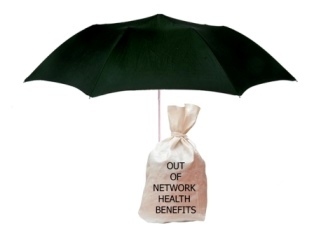 When I received the EOB and looked at Medical Claim Detail I saw they paid in full but ONLY OUT OF NETWORK. First of all, I didn’t receive a bill from Neurosurgeon and office until 7 months after my surgery. And when I called Cigna a customer service Rep said they’d take care of it and not to worry. I called approximately 10 times to follow-up, each rep gave me the same answer. It wasn’t till the very last call, that I got an answer.. well we can’t pay asst surgeon same billing codes as surgeon. But they did, just out-of-network amount. The only charge they refused was $237.00. I told them it’s right there in writing. Then Amanda asked if I could fax her what I had??? It came FROM THEM. The surgeons office didn’t help at all.. they kept saying most insurance companies won’t pay BUT THEY DID! I kept asking and finally telling everyone to LOOK AT THE STATEMENTS, APPROVALS AND HOW THEY WERE PAID OUT-OF-NETWORK! My gosh! They waited till the last moment to where the time limit was up. I feel like since my plan had ended the year after the surgery which was in December they didn’t care anymore and pushed it off till the last minute so they wouldn’t have to pay. Even so, the last call with Amanda who gave me hr personal fax helped, she sounded like she cared. Not one call back after my fax after faxing her many requests to call me. I then received a collection notice from an agency. The amount was too big. The doctor office said I could set up payment plan.. I’m on disability and I was told I could make small payments. When I went to the billing manager told me no less than $250.. her remark was “you weren’t on disability at the time of surgery.” But I was just not on SS at the time.. LTD. And I had to wait 5 months till it kicked in. I feel if Cigna just paid the claims correctly and had fixed the issue I brought up 10+ times.. I wouldn’t be here right now.. in collections. The neurosurgeon is considered the best in Alaska and I can’t go back to see him with other problems I have because of his back office and Cigna… I feel helpless.. I’m on Disability and I can only focus for so long.. I tried so hard.. I need this to go away but I can’t afford an attorney.. plus I have so much I need to address in EVERY ASPECT OF MY LIFE, I CAN’T CATCH UP.